I went out to check on one of my new trees that’s wilting, wilting, wilting in this horrible Texas heat with no rain is sight. 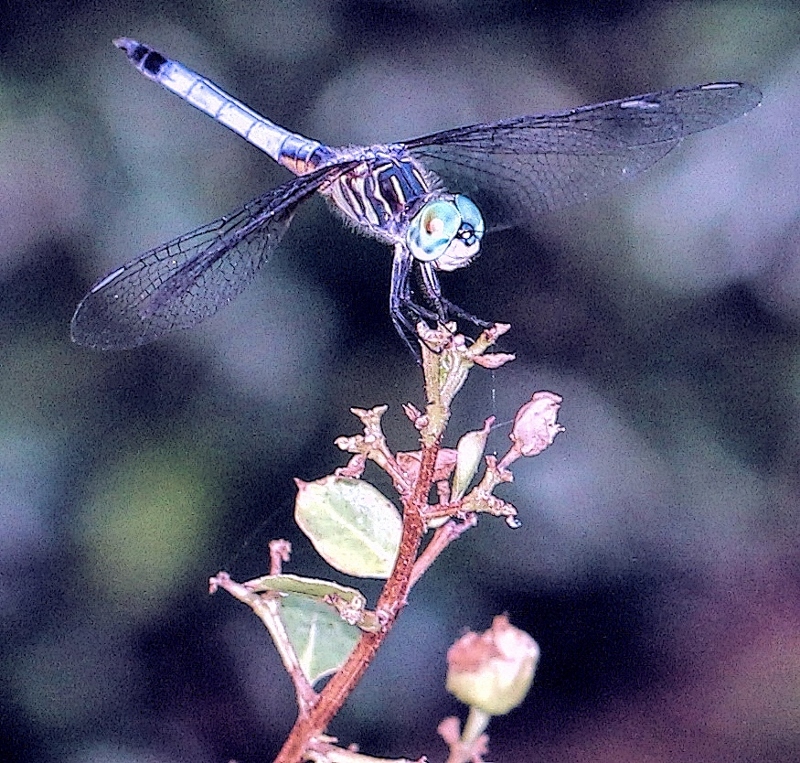 And saw this blue dragonfly. I unsettled him, but hoped he’d return. So I rushed into the house, changed out lenses, and ran back outside to take pictures of him. I kept approaching, snapping pictures, afraid I would make him fly off. And I did. 🙁 But, I was able to get pretty close. He’s looking a little blue. Have a lovely Sunday!!! And remember to look around you. You never know what you might see. ← Howling Wolf at Christmastime! Beautiful! Wonder if they’re attracted to certain plants? Love your books and pics. Thanks, I live in a god awful hot part of AZ, will we ever get under 100° ?